Corey Yoder: aka Little Miss Shabby! 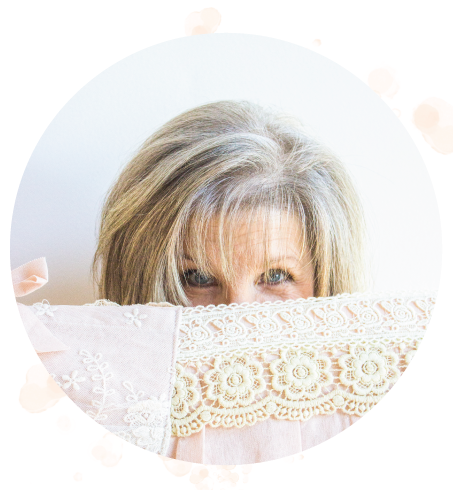 Today I want to introduce you to an amazing quilter, designer and blogger. Meet Corey Yoder of Little Miss Shabby! You're most likely familiar with her work, and maybe you've seen her book, Playful Petals. When I saw her book cover, it was love at first sight. When I opened it, crush! So many beautiful projects, from pillows, quilts and more! Her blog is as delightful as her book, and you'll find lots of tutorials for a wide variety of projects to suit just about any sewing mood, from quilts, pillows and even a cross stitched sampler! Just a few patterns from her Quilty Stitches Sampler. Corey made the quilt above from Bonnie Christine's very first fabric line, Reminisce for Art Gallery Fabrics. This is going to be my version of her Petal Play quilt...Bonnie's Winged fabrics on a linen background! Everyone at my quilt shop has caught the Petal Play bug! The quilt above is Andrea's version! To help her perfectly arrange the petals, her husband even made her a thingamajig to mark a grid for placement! I see she's using my favorite iron off pen! I'll have to post pictures of this most perfect quilt when she's finished!